The Sun today published a correction, promoted on its front page, over the claim Jeremy Corbyn was willing to join the Privy Council because it would benefit Labour financially. The "Court Jezter" front page story suggested the new Labour leader and republican had agreed to kiss the hand of the Queen and become a privy councillor "so he can get his hands on £6.2million of state cash". It claimed a "constitutional crisis" could have been triggered if if the Opposition leader had declined to join, putting the money at risk. It was published on Tuesday 15 September, the day after Tony Gallagher announced he had started his new job editing the paper. The Independent Press Standards Organisation (IPSO) upheld a complaint about the story from Rosemary Brocklehurst and ordered The Sun to publish its adjudication on page four or further forward with a front page reference. IPSO also ordered for the adjudication to be published online and promoted on The Sun's homepage for 24 hours. The Sun today published the adjudication on page two, with a reference in the bottom left corner of its front page (pictured). Brocklehurst complained to IPSO that "there was no basis for the claim that Mr Corbyn had accepted Privy Council membership in order to secure £6.2million of funding. She said that Short money is available to all opposition parties with seats in Parliament, provided that its members have sworn the Oath of Allegiance. The complainant said the article had misleadingly used the quotation from the QC to suggest a link between Privy Council membership and Short money eligibility; in fact there is no requirement for Privy Council membership." According to IPSO, The Sun accepted "it could have been clearer in certain respects" but said its story was based on "legitimate speculation based on accurate information". 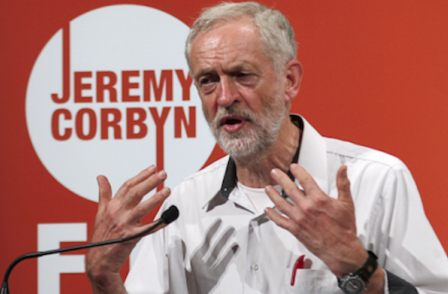 It emphasised that the article had referred to Privy Council membership as the only way Mr Corbyn could “secure” his position as Leader of the Opposition. In its view, this was justified by the following reasoning: had he refused Privy Council membership – and therefore not been party to the important information discussed during Privy Council meetings – he would not have been able to carry out his duties as Opposition Leader, and his position as Leader would not have been “secure”. This would raise constitutional concerns regarding his – and by extension, the Party’s – role in Opposition, as referred to by the QC. This, in turn, could affect his party’s entitlement to Short money, which is intended to support the party’s Opposition role. The newspaper argued that there was a direct link between the Office of the Leader of the Opposition and Short money: around £700,000 of the total would be allocated to the running costs of its Leader’s office and would be available only if he secured his position as Leader of the Opposition by joining the Privy Council; had Mr Corbyn failed to do so, the entire £6.2m available to Labour could have been at risk. The newspaper said that, since it was able to demonstrate a link between Privy Council membership and Short money, it was entitled to speculate that Mr Corbyn had accepted membership in order to secure this funding. In an article of 15th September, headlined “Court Jezter”, we said that Jeremy Corbyn decided to join the Privy Council in order to get his hands on Short Money, the fund (in total amounting to £6.2million) provided by the State for the Opposition. This was based on our argument that his Privy Council membership was integral to his role as Leader of the Opposition. We are happy to make clear that only £700k of Short Money goes directly to the Office of the Leader, with the remainder paying for other aspects of the official opposition, including research and the Whips’ Office. The formal criteria for Short Money does not explicitly include reference to membership of the Privy Council at all. Some experts have said that Corbyn’s non membership would have had no impact on Labour’s receipt of the money. IPSO ruled that the "newspaper was entitled to speculate about the potential consequences of a refusal by Mr Corbyn to join the Privy Council, and whether similar reasoning had played a role in his decision to accept membership". But it said these were not the terms in which the article was "framed". It said the story "amounted to a factual claim that the party’s receipt of Short money was conditional on Privy Council membership". It said: "While the article included some explanation of the link the newspaper had drawn between the two – including the quotation from the QC – it did not acknowledge that Short money is not formally conditional on Privy Council membership. "The presentation of the claims in this form, without clarifying information, constituted a failure to take care not to publish misleading information. "Further, the article had referred repeatedly to the sum of £6.2m in the context of Mr Corbyn’s role as Opposition Leader, but had not clarified that the great majority of the funding relates to the Party as a whole, as an opposition party, rather than the Leader of the Opposition specifically. "It had also failed to clarify that Short money is allocated based on the number of seats won by a party in opposition, rather than any specific role leading the Opposition, and would therefore be unaffected by any concerns over Mr Corbyn’s status as Opposition Leader. This represented a further failure to take care not to publish misleading information. "It was significantly misleading to claim, as fact, that Labour’s access to Short money (either the £6.2m, or the £777,538.48) was conditional on Mr Corbyn’s joining the Privy Council; the two were not directly connected. The correct position on the requirements for obtaining Short money and the basis on which it is allocated was available in the public domain." IPSO said The Sun's offer of a correction was "appropriate" but said it was offered too late, "more than a month after being notified of the complaint". It said: "Given the nature of the misleading statements the complaint demonstrated, the newspaper had failed to make the offer sufficiently promptly, and this represented a breach of Clause 1(ii)." Following the publication of an article in The Sun on 15 September, headlined “Court Jezter”, Rosemary Brocklehurst complained to the Independent Press Standards Organisation that The Sun breached Clause 1 (Accuracy) of the Editors’ Code of Practice. 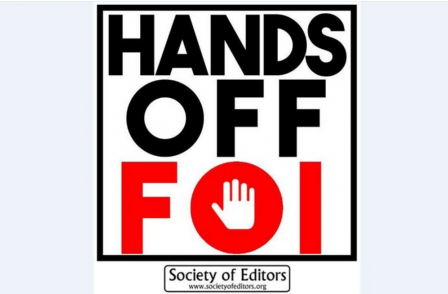 The complaint was upheld, and IPSO required the newspaper to publish this adjudication. The front page article reported that Jeremy Corbyn had accepted Privy Council membership after becoming Labour leader “so he can get his hands on £6.2m” of Short money. It said that, had Mr Corbyn refused membership, a “constitutional crisis” would have been triggered, jeopardising the £6.2m. The complainant said that Labour’s access to Short money was not determined by its leader’s Privy Council membership. Instead, most of it is made available based on the number of seats secured by Labour in the last election. The Sun said that the article could have been clearer, but was based on accurate information. If Mr Corbyn had not accepted Privy Council membership, his position as Opposition Leader would not have been “secure” – this would have triggered the “constitutional crisis”, and risked his party’s access to the £6.2m. Nonetheless, it offered at a late stage in the complaint to publish a clarification which made clear that the criteria for Short Money does not include reference to Privy Council membership. IPSO’s Complaints Committee found that it was significantly misleading to claim that Labour’s access to the £6.2m depended on whether Mr Corbyn was a member of the Privy Council. The two were not formally connected and the article did not make clear how a majority of the funding was in fact allocated. The Committee upheld the complaint as a breach of Clause 1. The newspaper failed to correct the significantly misleading coverage promptly and IPSO required The Sun to publish this adjudication. Another part of Brocklehurst's complaint under clause one (accuracy) of the Editors' Code of Practice was rejected. She was concerned that the story was illustrated with "a digitally produced image showing Mr Corbyn wearing a jester’s hat". She also "denied that there was any evidence to support the assertion that Mr Corbyn was a 'leftie who hates the royals'". The Sun denied the image was misleading, telling IPSO "it had obviously been manipulated to lampoon him". It also said, given his previous public statements opposing the monarchy and his political position, it was not misleading to characterise him as a "leftie who hates royals". 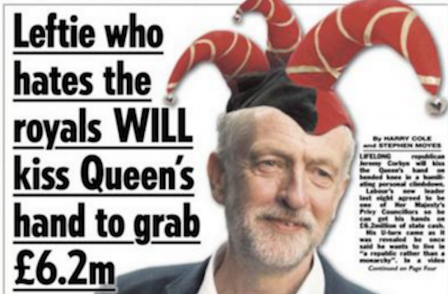 IPSO ruled: "The image of Mr Corbyn wearing a Jester’s hat, and the characterisation of Mr Corbyn as a 'leftie who hates royals' were not significantly misleading, given his political stance, and his views on the monarchy. These concerns did not raise a breach of Clause 1."